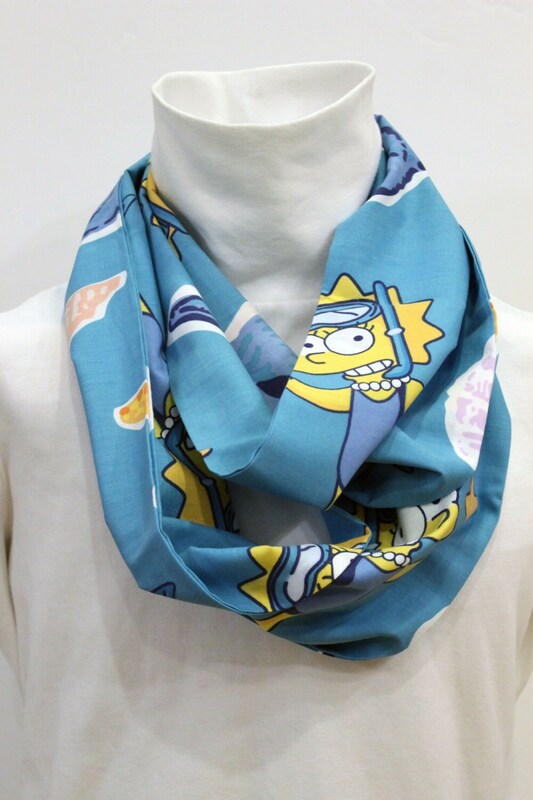 Show your love of the Simpson's cartoon by wearing this playful Women's Infinity Scarf. 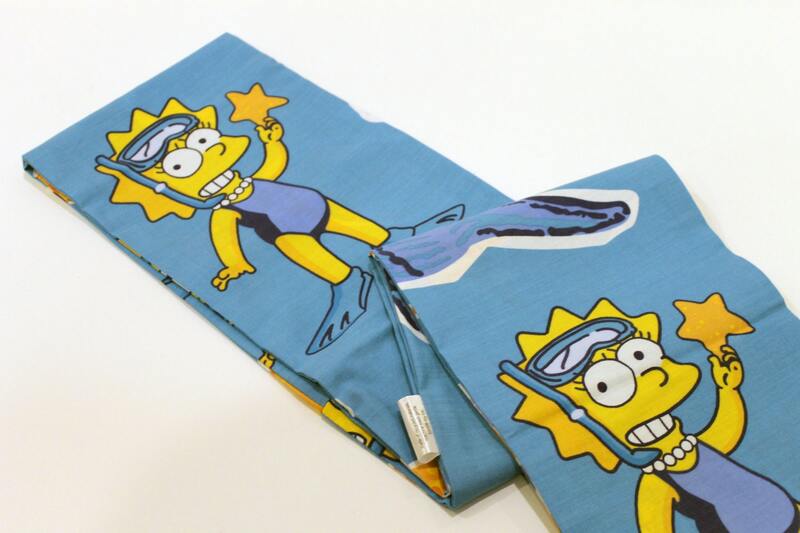 This scarf is fun to wear feature one side features Lisa swimming on bright blue fabric. 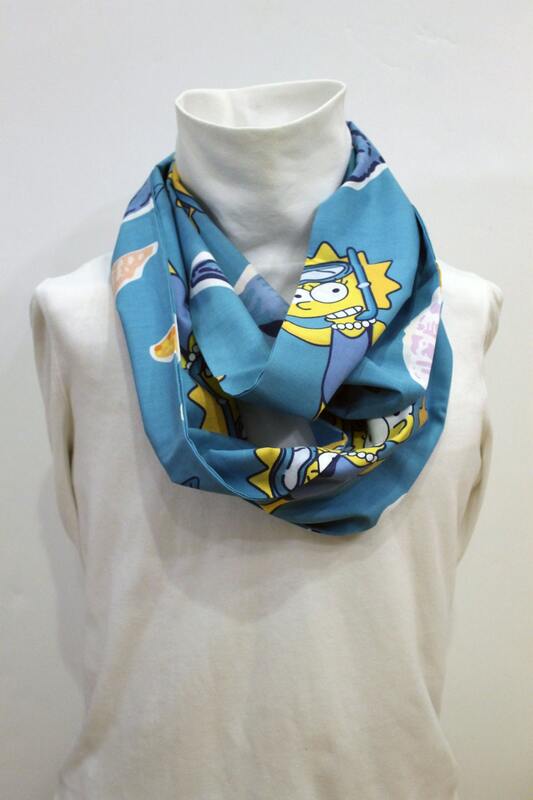 This fabric comes from a bed sheet that has been upcycled. 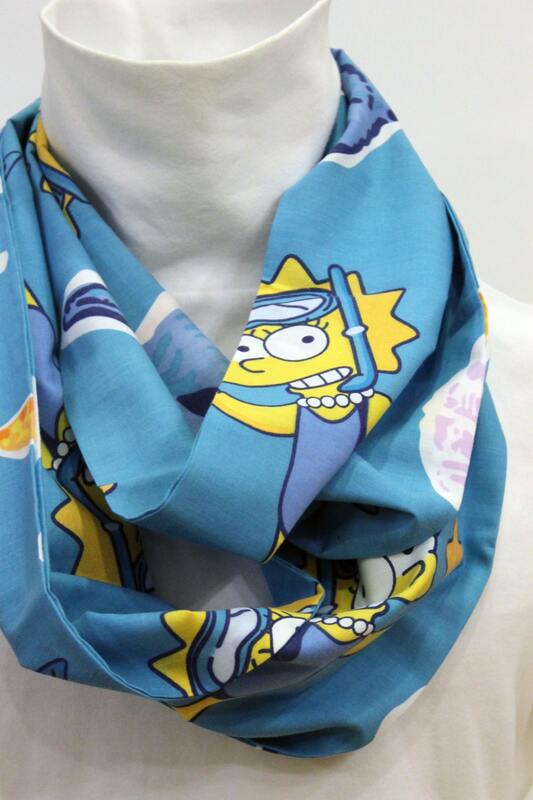 This is perfect gift for the eco-conscious shopper.